Urban intensification is causing a new wave of water-related exposures for commercial entities across Canada. The cost of flooding is on the rise. 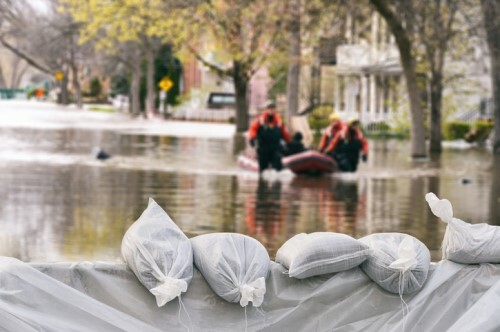 In 2017, floods caused over $590 million in insured damages across Canada – and the exposures are only growing as the country continues on its concrete quest and prevents natural flood mitigation. Recent flooding in Brantford, Ontario, forced nearly 5,000 people from their homes and caused disruption and damages to many businesses in the city. A state of emergency was issued by Brantford on February 21 after warm temperatures and torrential rainfall caused an ice jam on the Grand River. As events like this increase in frequency, what can Canadian businesses do to avoid opening the floodgates of destruction? Insurance Business caught up with Jim Mandeville, senior project manager of Large Loss North America, at FirstOnSite Restoration, to find out. FirstOnSite Restoration has spent the greater part of a decade mitigating flood damage and disasters for businesses and homeowners across Canada. The FirstOnSite team works with businesses to make assessments of weak points within commercial properties and assist with mitigation to prevent large flood losses. Mitigation might include carrying out minor construction to low-lying or weak areas of a property, providing additional drainage, and sometimes encouraging the purchase of dry berms, which are inflatable barriers that can be placed around, or in front of, vulnerable areas. “Commercial organizations have an advantage over personal property owners when it comes to flood mitigation,” Mandeville told Insurance Business. “Businesses have the organizational and financial capital to plan ahead and make a business decision to invest in physical mitigation measures like dry berms or property alterations. They often have more financial agility than the average homeowner could ever dream of having.